Shannon Systems was founded by Silicon Valley veterans with over 60 years of combined experience and over 150 patents. Shannon Systems is based in Shanghai with sales and support centers in Beijing, Shenzhen and Chongqing. The calculation power for modern CPU has been growing fast in the past 20 years exceeding Moore's Law, increased by about 1000 times. But HDD storage, which is based on magnetic recording, has its IO speed increased by less than 10 times during the same period. Thus in high performance database system, the storage IO is more and more notably becoming the bottleneck. Shannon Systems is a leading developer of top performance SSD storage products and solutions. Shannon keeps on innovating in SSD field to meet the storage demmands of today's enterprises; helps our customers to continuously optimize their IT system architecture and performance, while lowering their purchase and maintenance cost. Shannon Systems was founded by industry veterans in September, 2011. 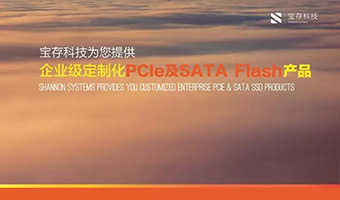 We are a global leader in providing enterprise-grade Flash storage devices and system solutions. Shannon Systems is headquartered in Shanghai, China with sales and technical supporting centers in Beijing, Shenzhen, Guangzhou, and other cities. Shannon Systems, a leading manufacturer of SSDs, has continued its growth in the 3D NAND-based flash market by launching several new products including the world's first 12.8TB PCIe SSD drive, Direct-IO G4i. 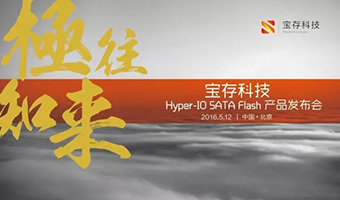 On May 12, 14:00, Beijing International Conference Center.Welcome to Shannon Systems Hyper-IO SATA Flash release conference.